Just like good and bad cholesterol, there is good and bad planned obsolescence – the business practice of consciously limiting a product’s lifespan. This may come as a surprise to many people, since planned obsolescence usually has a negative connotation. As with cholesterol, it’s important that we understand what planned obsolescence is, how it can be good and bad, and what we can do to fight the bad kind. The good types of planned obsolescence are “value engineering” and “functional obsolescence.” Value engineering is a design process that seeks to use as little material as possible in a product while still delivering an acceptable lifespan. It also suggests that all the parts in a product should fail at about the same time, so that none are “overbuilt” relative to the rest. Functional obsolescence is when a genuinely superior product is introduced, making the old one comparatively less desirable. 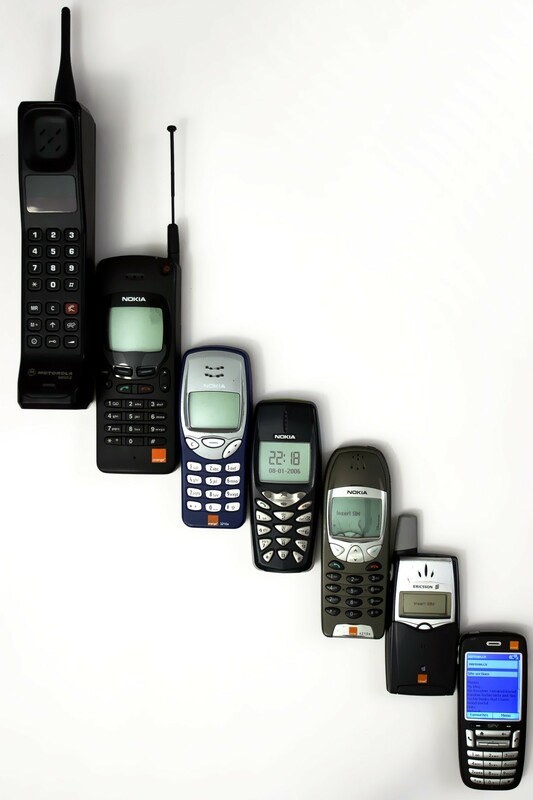 Cell phones don’t last for 20 years. If they wanted to, cell phone manufacturers could make phones much more durable than they currently are. Is this bad planned obsolescence? No. This is value engineering. The useful life of a cell phone is limited to only a few years due to the rapid rate of technological improvement in the field. This means that it’s wasteful to build a cell phone with a physical lifespan much longer than its useful life. It makes sense that cell phones are built out of inexpensive plastic parts; this ensures a more affordable product. If a cell phone were not value engineered – if it were made out of titanium, for example – it would last longer than anyone would want it to, would cost more, and would use up more resources. Designing certain products to be less durable than they could be actually conserves resources and delivers a more affordable product to the consumer. Functional obsolescence occurs when an innovation is introduced into the marketplace, making an older product obsolete. A classic example is the automobile replacing the horse and buggy, or the transition from simple cell phones to more functional smartphones. Functional obsolescence creates waste, but the trade-off is that consumers get a superior product. In many cases functional obsolescence takes place because the new product requires less time and work, meaning an increase in the resource of human time. Psuedo-functional obsolescence is planned obsolescence which appears to introduce innovative changes into a product, but in reality does not. In fact, pseudo-functional obsolescence often forcibly outmodes an otherwise-useful product. One of the best examples of this is the existence of hundreds of different sizes and shapes of AC adapters, battery chargers, and batteries for electronic equipment. Many people assume that these differences exist for engineering reasons. Actually, most of the changes have no discernible purpose except to make the old models incompatible with the new ones. If you’re not convinced, here’s another example. In my home, we own three laptops. The oldest one is from the 1990s and the newest is from 2011. The power adapters for all three of them provide identical voltage and wattage. However, each one has a different plug, meaning that none is interchangeable. If the 1990s laptop dies, its old adapter becomes worthless. Conversely, if the adapter should die, one of the others can’t be used – a new adapter needs to be purchased. This is the case even though the three adapters have the exact same electrical specifications. And the same is true of the laptops’ rechargeable batteries. There is no innovation here, and no engineering reason why each plug should be different. What’s left is pseudo-functional obsolescence that costs consumers money and wastes resources. Without resorting to another government bureaucracy, what can we do to combat pseudo-functional obsolescence? Consumer education is a relatively easy way to resist pseudo-functional obsolescence. The first goal of consumer education is simply to make consumers aware that pseudo-functional obsolescence actually exists. Many of us know very little about how our products really work, and so it can be hard for the average consumer to tell the difference between true innovation and pseudo-functional obsolescence. Providing this information is not always easy. Sometimes, identifying pseudo-functional obsolescence requires very specific knowledge of a product. But sometimes it’s easier, as in the case of the laptop chargers mentioned above. The electrical specs are what really determine compatibility. If the specs are the same but the plugs are different, it’s fairly easy to identify this as pseudo-functional obsolescence. Once consumers are aware of pseudo-functional obsolescence, they can buy better products from better companies. But in addition to making smarter choices in the marketplace, consumers can also address their complaints directly to companies. If all of our complaints actually reached the businesses responsible, this would undoubtedly have a positive impact on their business practices. Voluntary industry standards are often so widely accepted that we hardly think of them as specifically chosen standards – instead it seems like it’s simply the way things are. For example, the 110 volt household current system in the United States is a standard first promoted by Thomas Edison. Later on, the size and shape of the home electric plug was standardized by the National Electrical Manufacturers Association and the American National Standards Institute. If we step back and think about it, it really is incredible that a 70-year-old electric appliance still operates in a modern home’s electric system. Yet it is not hard to imagine things turning out differently. In the beginning there were competing electrical systems, and without standardization things might have remained this way. Different homes could have been built with different systems, meaning that if you moved to a new home, you would have to replace every electric item you owned. There could have been several different sizes and shapes of electric plugs too. Old plug sizes might have eventually been retired and replaced with “improved” models, so if you needed to replace a socket in your home it wouldn’t match all the rest. This sounds rather ridiculous, but only because the industry standards in home electricity have served us so well. Industry standards in the electronics industry for items like chargers and batteries could go a long way towards saving resources and improving product usability for consumers. Freely adopted industry standards allow us to use an electrical appliance from decades ago in a modern home. Industry standards in electronics would allow us to use last year’s charger in this year’s laptop. Is that really too much to ask of the electronics companies? The free market is powerful and beneficial, but an efficient market requires knowledge. Once consumers become informed about planned obsolescence — the good and the bad — they can better use the market to buy more efficient products. This will benefit consumers, responsible businesses, and the environment. Addison Del Mastro is a participant in the 2012 PERC/Liberty Fund Undergraduate Colloquium on Free Market Environmentalism.